We value feedback from your players. Your input allows us to improve our services where possible. To ensure we can process your feedback in the best way possible, we have put in place a feedback service where you can get in touch easily with our management. 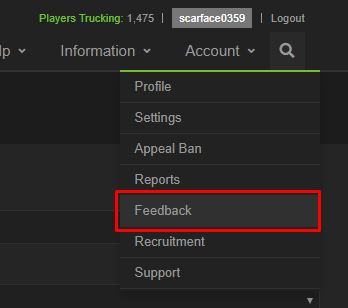 When submitting feedback, make sure you select the appropriate category so management can process your tickets faster. Below is an overview of the available categories and a few use cases of when to select that category. Translation Manager: questions about translated assets, posts, media and the team of Translators.